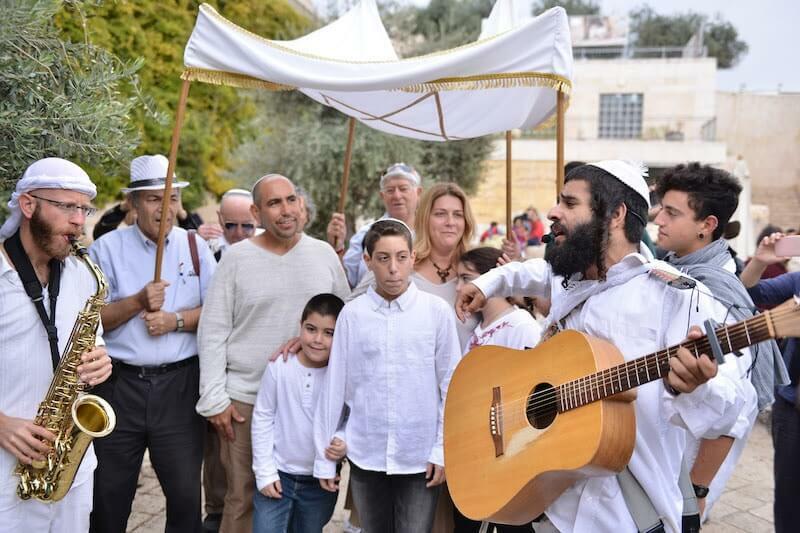 Bar mitzvah at the Kotel is the classic Bar Mitzvah! 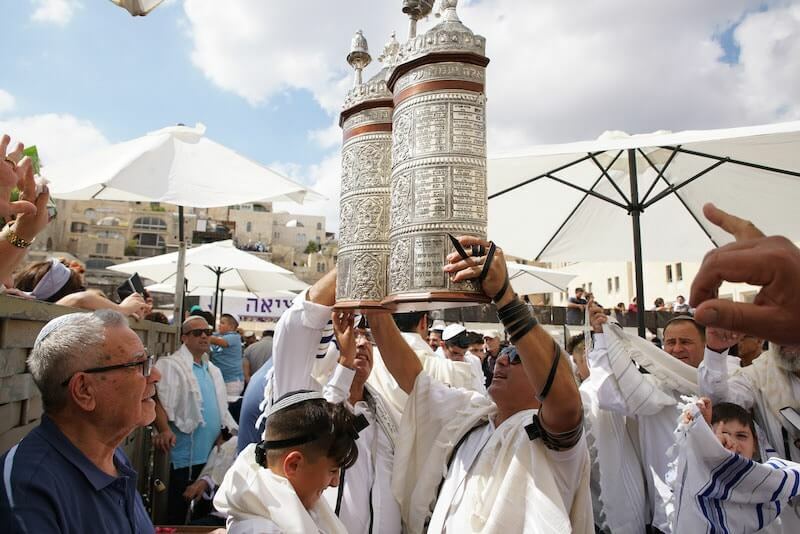 It happens at the Western Wall plaza when we attach the way to the Torah to the women’s section so that the mother of the boy and the rest of the family can also observe the boy’s ceremony. The great advantage of the Southern Wall is that it is a quiet and private place. It will allow you making the Aliyah to Torah ceremony an intimate experience without the noise and bustle of the plaza. 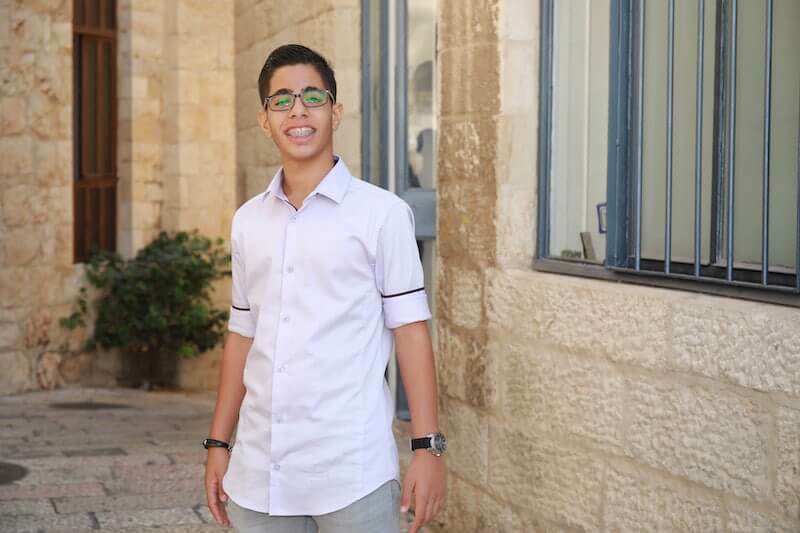 Another advantage is that there is no separation between men and women so that women will also enjoy the ceremony of Aliyah to the Torah and the mother of the Bar Mitzvah boy can embrace and kiss her son immediately after the ceremony. The Davidson Center combines well between antiquities of the remains of the Wall, privacy, and quiet. 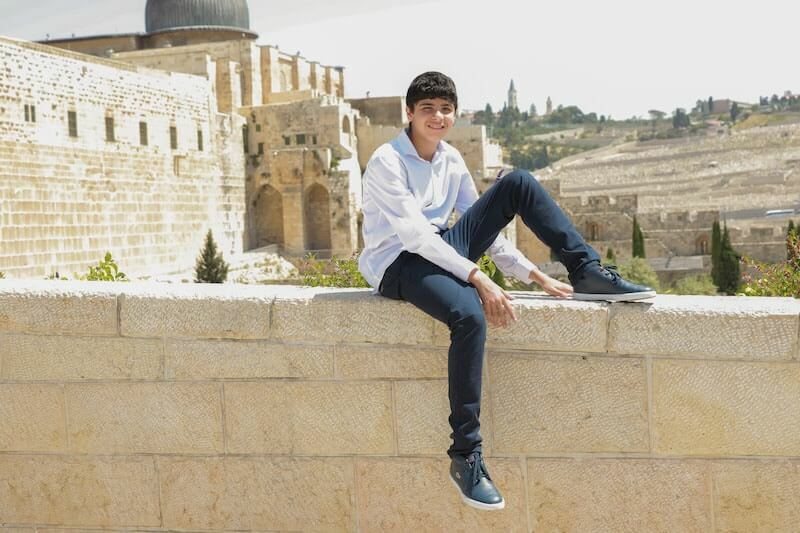 You can enjoy the beauty of the site and celebrate bar mitzvah by the Western Wall as it was. There is no separation between males and females, that’s why the whole family can enjoy the ceremony at the Kotel. However, if you want, you can separate men and women. If you come here, you will probably want more details. 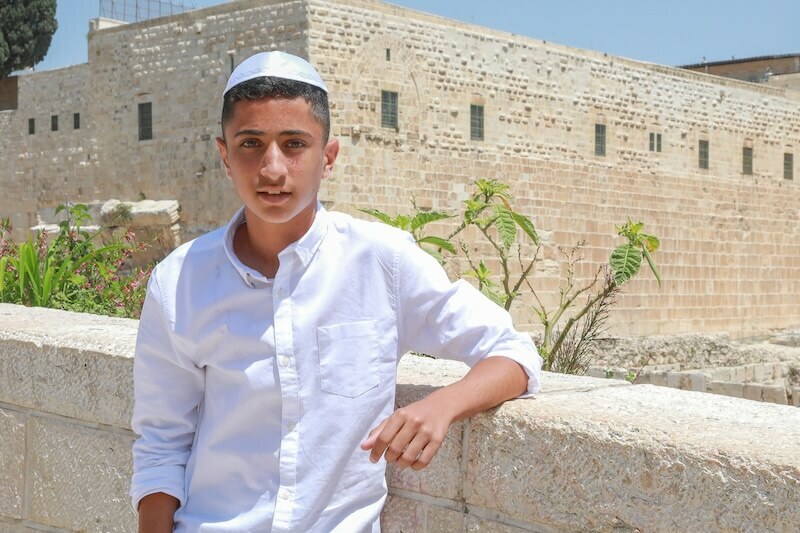 Get a video tutorial from us, which will explain everything you require to know about Bar Mitzvah by the Western Wall of Jerusalem. We conduct a Bar Mitzvah event according to a planned and coordinated schedule so that the entire event will pass smoothly and with pleasure. Do yourself a favor and read the agenda. Thus, you will know exactly what to expect. The day begins with a comfortable, air-conditioned bus ride that will take you and your guests to Jerusalem. At the beginning of the day, we organize breakfast, where you will receive a meal, which will give you and your guests enough energy for the rest of the day. After breakfast, the main event takes place, which is the Aliyah to the Torah at the Wailing Wall. 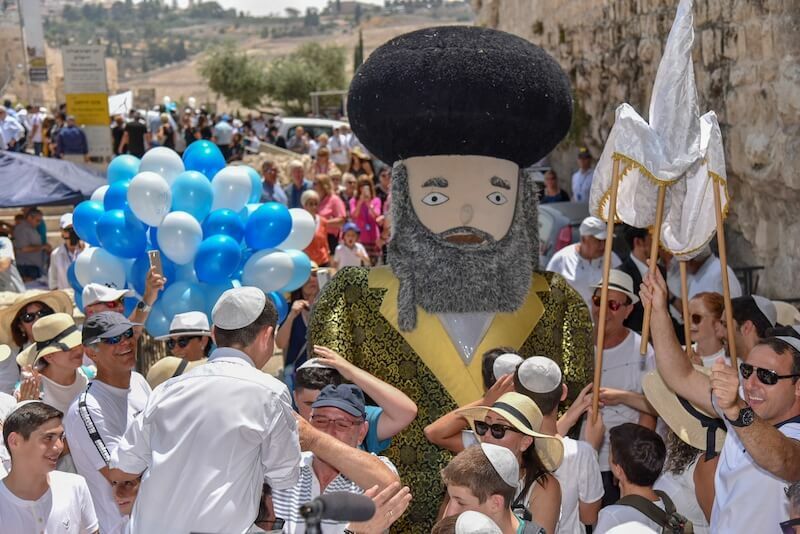 A way to raise the Torah is an impressive procession, in which there are musicians who make you happy, a Chassid doll that dances through the whole event, and the flowering or balloons, it is an exciting moment, in which the hero of the event is greeted with the best wishes. After the Aliyah to the Torah, there is a possibility to visit one of the sites in Jerusalem. For example, the Tomb of David, the Jewish Quarter, and many other places we offer you. The tour can be accompanied by musicians, who will continue entertaining you and everyone around. After the Aliyah and the visit to Jerusalem are finished, we organize lunch. The meal is done in one of the restaurants we work with. You’ll get a sumptuous feast, which will leave no one hungry. Our food is strictly kosher so that even the most religious people can eat with pleasure. Our food is always clean, fresh, and delicious. After lunch, you return home with a host of bar mitzvah celebrations, as your child has become a man. Thus, you have an unforgettable bar mitzvah. Our company has over 15 years of experience in the organization of Bar Mitzvah by the Wailing Wall. More than 150 families celebrated Bar Mitzvah with us and everyone was satisfied. We offer a worry-free event. 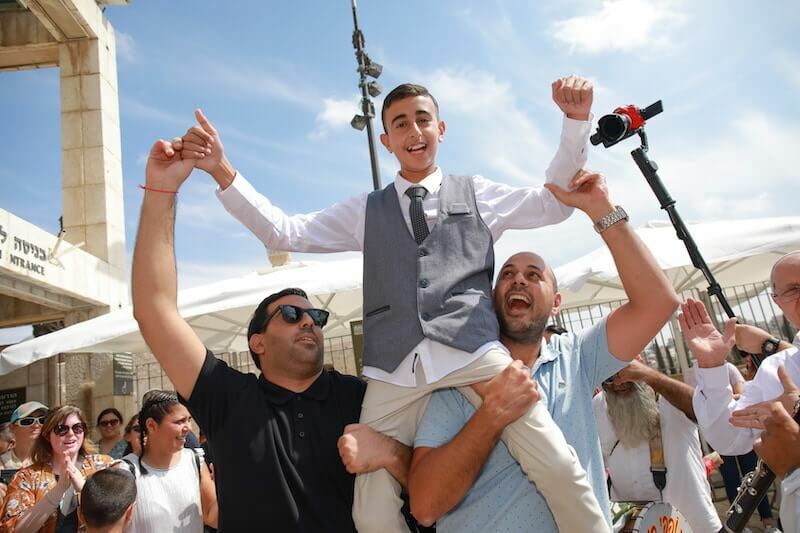 We’ll organize the Bar Mitzvah occasion at the Kotel in Jerusalem from A to Z while taking care of all the tiniest details and a solution to any problems that may arise, so you won’t have to worry about the event but only enjoy it. The meeting with us does not necessarily have to be organized in our office. It is possible to hold a meeting to coordinate expectations at a coffee shop or at the Western Wall itself so that the meeting was not only a business meeting but also an enjoyable Jerusalem happening. We will coordinate all the details of the Bar Mitzvah at the Wailing Wall with you so that we know 100% of what you want and expect it to be. That’s why you will hardly be disappointed. We promise that there won’t be any surprises, which are unknown in advance. There won’t be any additional payments. You only pay for the package you order from us. There is no need for extra expenses. We offer a diverse menu for every taste and every pocket – we will prepare the restaurant and menu that suit you best. Those who love meat will enjoy a piece of fine meat. Those who love fish will receive fish with a good Jerusalem spices. We offer meals at a variety of prices, but all of them are delicious and satisfying meals corresponding to gourmet’s tastes. We came from New York, quite far from the Wailing Wall, to celebrate the Bar Mitzvah for Semion’s nephew. There was an amazing event full of a great joy. All the people in Israel, including schoolchildren, young people, and others, who saw Semyon, joined the great celebration. All those who joined the event made it more joyful, exciting and spectacular. 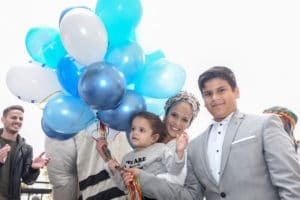 The Suissa family enjoyed the unforgettable Bar Mitzvah celebration. There’s no doubt, this was the result of planning bar mitzvah by the Wall in a precise and meticulous manner together with the parents. The event was coordinated with the participants and thought over to the smallest details. “I’d like to thank the Kinor David Company, Hagai, and the staff for organizing a very high-level event. Before the event order, I watched all Hagai’s videos and decided to choose “Kinor David”. They are professionals with a lot of original and fun ideas. The Levy family was grateful to us for organizing the event. We gave them solutions for everything, such as arriving in Jerusalem with a comfortable bus and other. We had the honor of making an enjoyable event that they would never forget. We’re glad to thank all the customers who chose us to organize Bar Mitzvah at the Western Wall. We also want to thank everyone who recommended us; we appreciate you very much, and we will always be happy to provide you with additional services. 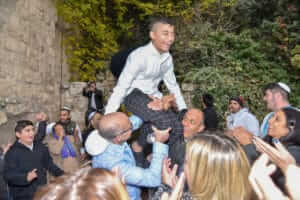 The most important role of the groom’s father at the Bar Mitzvah ceremony t is important to know that the father has a big part to play in his son’s Bar Mitzvah. Is the Bar Mitzvah groom excited ? 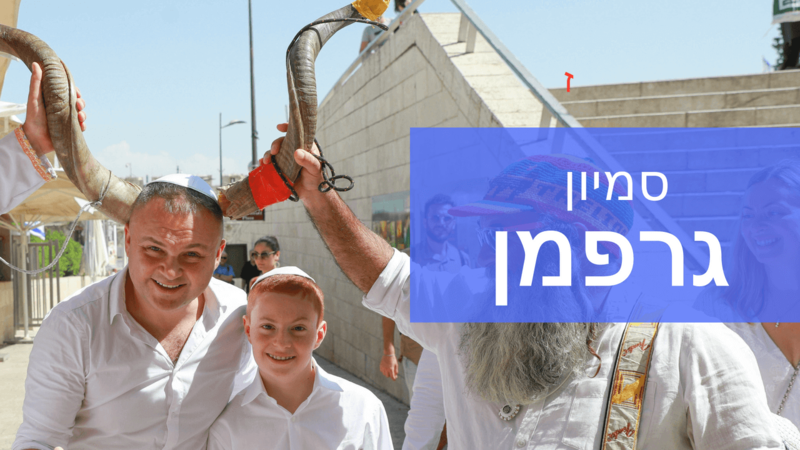 Why should you celebrate an occasion at Kotel in Jerusalem? Jerusalem is a center of the Jewish culture and traditions, while the Kotel is the heart of Jerusalem. There’s no place, where a Jew can feel closer to God than by the Wailing Wall. There’re all the things by the Wall, which are needed in order to perform an impressive mitzvah event, the climax of which is the rise to the Torah, according to Halakha. By the Wall, there is a Torah scroll and places, which are arranged for the ceremony of Aliyah to the Torah. There is also a holy atmosphere. In addition, there are plenty of restaurants around the Wall, which are appropriate for such an occasion and where you can pamper yourself, your relatives, and guests at a feast, which will end the event with a good taste. Why is it a good idea to celebrate the Bar Mitzvah with our Center? If you’re sure that you should celebrate mitzvah at the Wailing Wall, you can think that it is very complicated to organize the occasion. But with us, you have nothing to worry about. Kinor David is a company, which has been organizing such a kind of events at the Wall for over 15 years. We are here to organize everything for you in order to entertain your guests. We accompany the entire event with a pianist, who stands next to the Bar Mitzvah boy and makes sure that the Haftarah is performed Halakhic. In addition, the songwriter is responsible for all the happy and logistical aspects of the event. 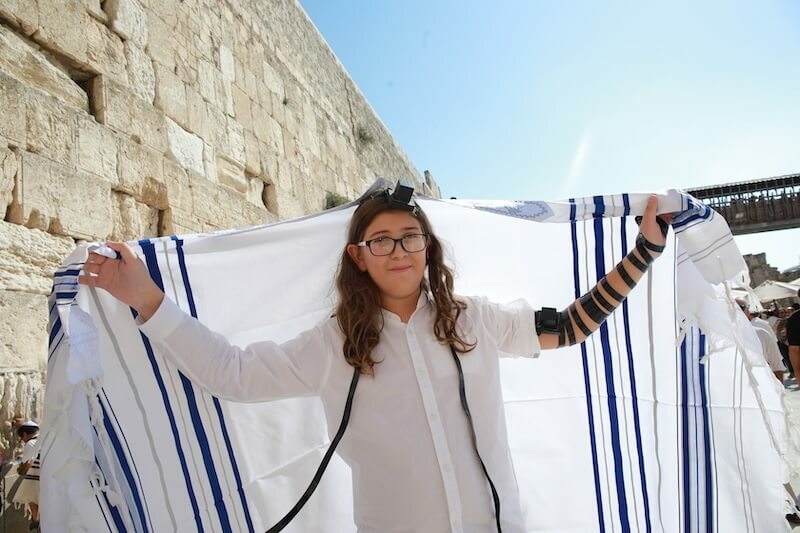 Come and see our site with more than 300 articles and videos explaining to you and showing you anything you want to know about Bar Mitzvah ceremony at the Western Wall. On the site, you will also observe the recommendations of many customers, who enjoyed the service we provided them with. 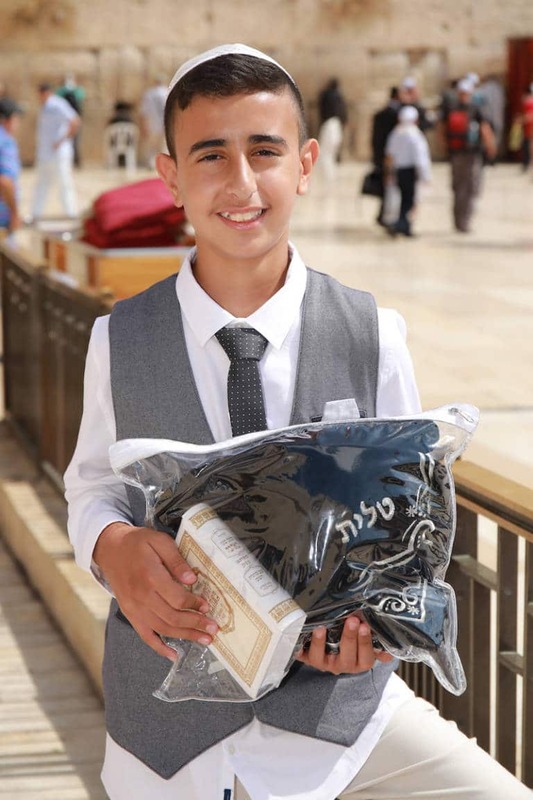 You receive a sumptuous bar mitzvah package, which includes transportation, a procession of musicians, attractions, a Torah ceremony, visit to Jerusalem, food, and everything that will make your ceremony unique and enjoyable. 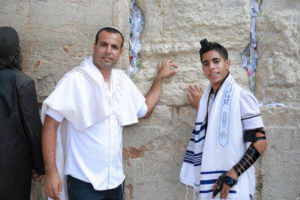 You will receive 100% unforgettable spiritual experience, in which your son will become a man, who observes Torah at an event at the Kotel, which he and you will never forget. So, what are you waiting for? Call today and coordinate a Bar Mitzvah meeting at the Wailing Wall with us. We promise you that you won’t be disappointed but only delighted.